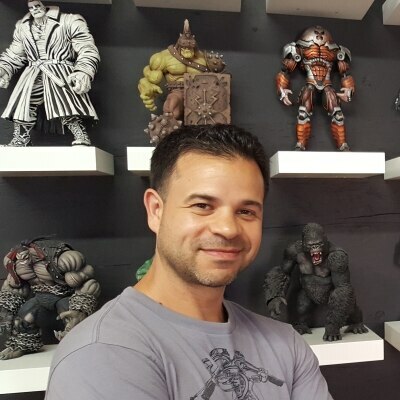 For nearly two decades, Dave Cortes has carved out a career making sculptures of action-figures for the toy industry. It was while studying Fine Arts and Animation that he had the chance encounter with sculpture that would alter his academic path. Dave's personal work combines traditional and digital sculpting techniques in a variety of materials. Dave also teaches sculpture at the School of Visual Arts.